வெண்ணிலவே ! வெள்ளி வெள்ளி நிலவே ! போகும் இடம் எல்லாமே கூடக் கூட வந்தாய் ! நட்சத்திரப் பட்டாளம் கூட்டிக் கொண்டு வந்தாய் !! Yahaeeey ! Semma pattu ! Trust me this is going to rock both your Music and TV systems soon. 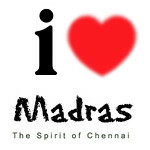 I would like to appreciate Gautham for extracting work from Harris Jeyaraj and Thamarai. They are becoming some team which wont loose. Mani used to extract the best out of a person, like this. But then, SJ Suryah also gets the same kind of work from Vali and Rahman. There's one usual Bombay Jayashree song from Harris Jeyaraj, and sounds very similar to Suttum Vizhi Sudare.. and that means, it is equally peppy ! Kalakkal Pattu - Paartha Mudhal Naale ! Totally five songs, exculiding a Theme music. As Soonapaana said, they need some more hearing. Paarpom ! Vettayadu Vilayaadu கேட்டு மகிழுங்கள் !! 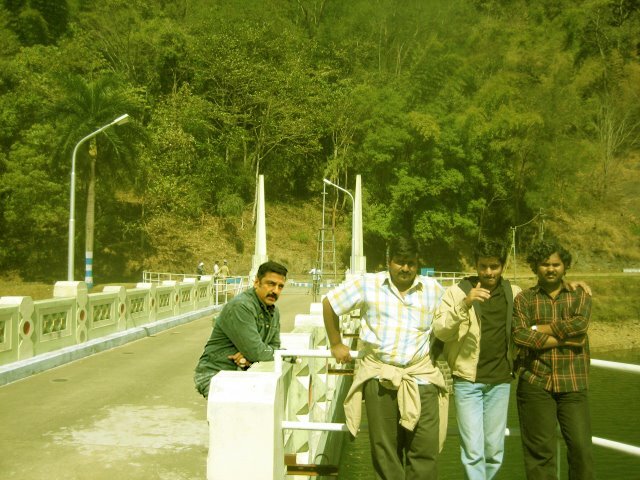 BTW, the photo (or photoshopped photo) has Me, Gana, Sudharsan (my colleagues) and Of course Kamalhaasan. The photoshop work is too good..
You're a photo Wiz man!!! One more setback. Why does it always happen to our Aandavar only???? Yep. The setback is bcos of Kaja Moideen..that doesn't did things in a right way..already Perarasu is shelved, where everything gets completed. Now VV..I will pray it shd not be another Perarasu..
Wanna see Kamal as cop after Kakki Sattai. The songs are awesome. The HJ-GM combo has done it again!! I will have to say that VV stands up to the standard of both Minnale and KK. Still not heard the songs...will hear right now !!! venkatarangan, matty, Kelunga !! ippove vaangi kelunga. bala, dont you worry. It will be alright. soon before the release. aravind, filbert, Paartha Mudhal Naale !! im placing my bets on this..
gladtomeetin, welcome :) thanks.. go on and listen. Semma Songs. VV songs didn't impress me..I would say wasn't dashing like anniyan! But..I am a big fan of KAMAL..! Atleast for him.!! I hope the movie succeeds and the songs become a hit.! venkittu sir, take my suggestion.. "Manjal Veyyil" and "Paartha Mudhal Naale" meendum kettu paarunga. andha photoshop work valakkam pola kalassal..